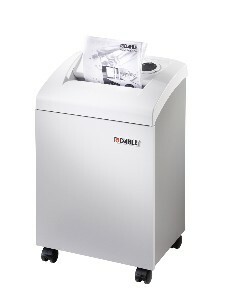 Dahle's 40104 is built with an 8 3/4" feed opening to accommodate both letter and legal size paper with ease. 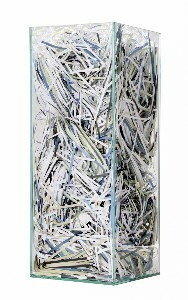 It can be conveniently placed at arms length so you never have to leave your desk to properly dispose of confidential documents. Yet large enough to handle 8 gallons of shredded waste. Safety and energy conservation continues to be a top priority at Dahle. 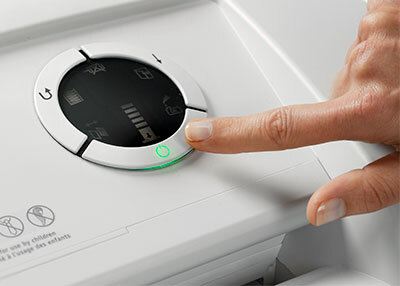 Each shredder comes equipped with the innovative SmartPower Energy Management System. This multi-stage system reduces power consumption after ten minutes of sitting idle (sleep mode), and completely powers down after an additional 20 minutes of inactivity. Dahle SmartPower will appeal to those interested in conserving energy as well as reducing electrical costs. Dahle shredders operate using the intuitive SmartPower Energy Management System. This multi-stage system reduces power consumption after ten minutes of sitting idle (sleep mode), and completely powers down to a 0% energy draw after and additional 20 minutes of inactivity. 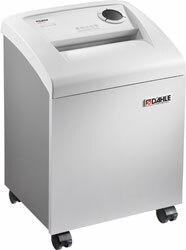 This makes Dahle the most energy efficient shredders on the market. The SmartPower System will appeal to those interested in conserving energy as well as reducing electrical costs. Security levels from P-2 through P-4 are available.